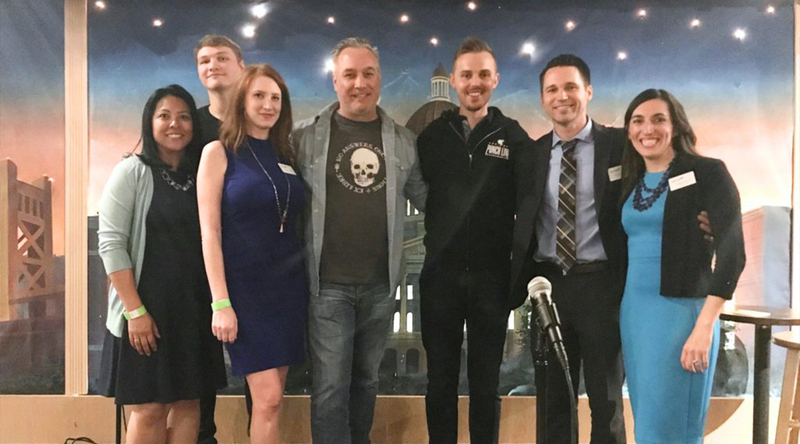 Justin Studebaker and Dress2Success did a fantastic job putting together a hilarious and touching evening of talented comics and genuine community interest and generosity Tuesday night at the Punchline Sacramento. David Studebaker headlined and killed. Wonderful event benefitting Aging Up and its truly incredible work with kids aging out of foster care. Hughey Law Group is thrilled to have been presenting sponsor and honored to continue support and advocacy for Aging Up and its fearless leadership.